Hello! Way back in September, I posted swatches of two new Barry M polishes exclusive to Boots (post here). Today I am back with the two Superdrug exclusives, 'Twinkle Twinkle' & 'Nutcracker'. 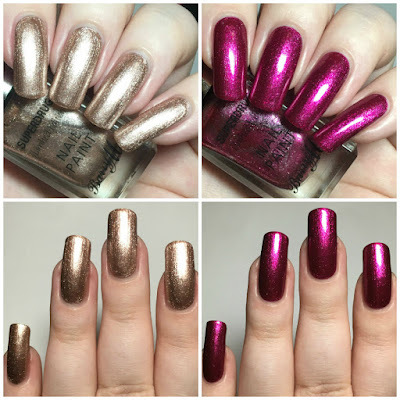 Again, these both have a gorgeous sparkly foil finish and are perfect for the festive season. Read on for full swatches and more info! A little bit random, but this is also my 200th blog post - yay! 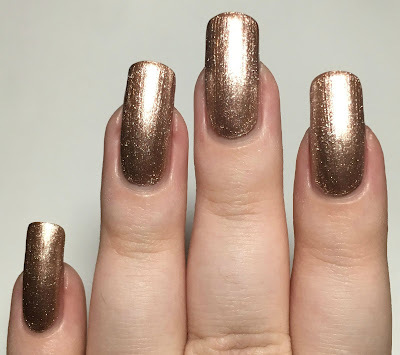 'Twinkle Twinkle' is a rose gold/champagne shimmery foil. It has a gorgeous smooth formula, and applies very easily and evenly. It is a little bit sheer on the first coat but builds up completely in two. This is a bit more pink/blush toned than it is picking up in my photos. Below is two coats and topcoat. Here's a quick picture of the bottle alongside both Barry M 'Silver Foil' (left) and 'Gold Foil' (right) for a colour comparison. 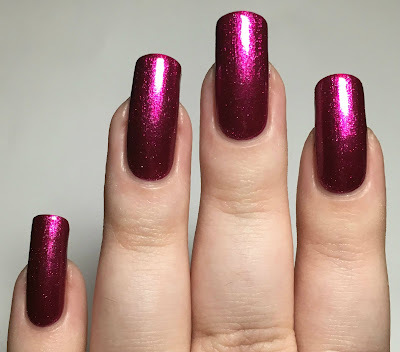 'Nutcracker' is a hot pink shimmery foil. Again it has a lovely smooth formula, and applies easily. It is a bit more opaque than 'Twinkle Twinkle', but still the slightly sheer on the first coat. You might be able to get away with one thick coat as I did mine quite thin. Below is two coats and topcoat. What do you think? I just love how sparkly these are. Metallics and foils seem to have made a big comeback this year, and I am loving it! 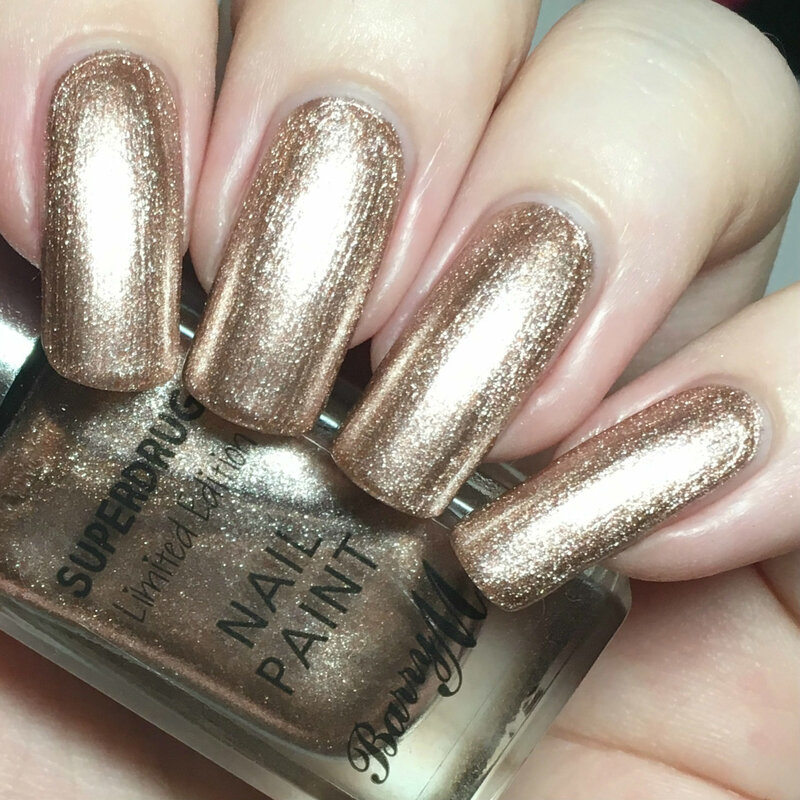 It's taken me long enough to get these up that there are now two new Superdrug exclusives ('Gingerbread' & 'Icicle') that are free in a little set when you spend over £7 on Barry M. I'm trying to be good but I might accidentally get them for myself! Both of these are currently available in Superdrug, in store and online. You can find 'Twinkle Twinkle' here and 'Nutcracker' here. Twinkle Twinkle is so pretty. Nit cracker looks gorgeous on you. Omg I totally love Nutcracker! I have always loved metallics, so all of these make me hapy! These are gorgeous! 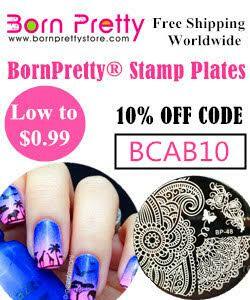 They'd make for gorgeous nail art! I need that fuchsia. Like yesterday. Nutcracker is so pretty!!!!! Perfect for the season!!! The metallic finishes of these are perfect for the festive season! Love your swatches! Nutcracker would be my pick. I need it. It's gorgeous! Love those colors...they scream holiday! I love metallics for the holiday. I feel like that's when I bring them out the most! Ohh I like twinkle twinkle! Twinkle Twinkle is so pretty! I LOVE Nutcracker on you! These are gorgeous and I want them! Nutcracker is the perfect holiday colour. Gorgeous pictures and I love these shades too. 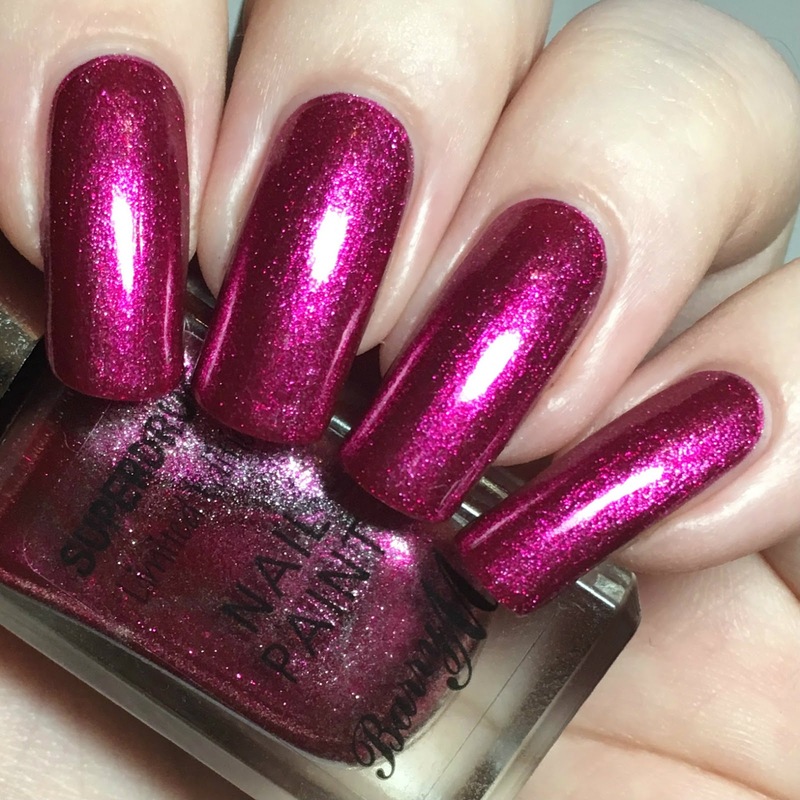 Nutcracker is my fave though, that colour is stunning! Those are both stunning! If I could only have one, I'd choose Nutcracker, but they're both absolutely gorgeous. Gorgeous shades and finishes. I'm sad those are not available in the US. I'm literally at a loss of words! Those colors are beyond gorgeous!!!!!!!!! !